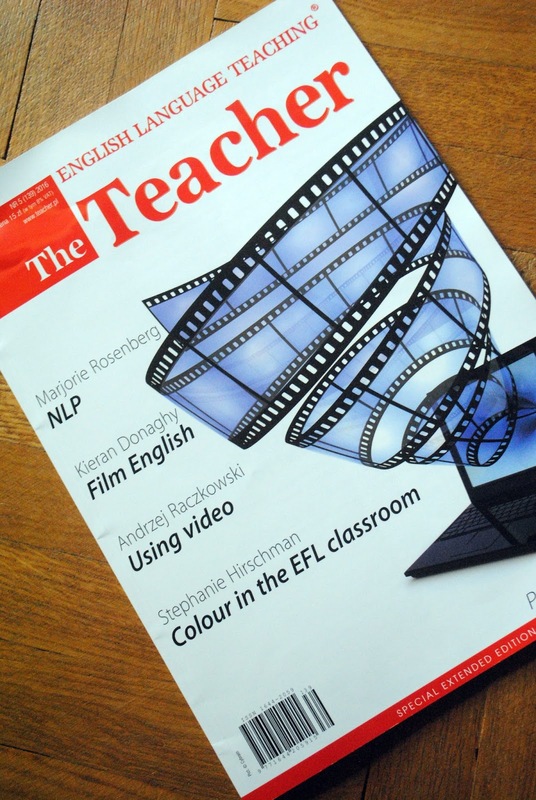 Earlier this year I had a great pleasure to be interviewed for "The Teacher" by Milada Krajewska. This interview was especially significant to me as it meant reaching out and connecting with colleagues back home, which I rarely have an opportunity to do. I am an English instructor of Polish origin based in Thessaloniki, Greece. I try to stay active at all times attending professional development events, so far only in the area of Southern and southern Central Europe. Hopefully, the interview for "The Teacher" is the first step into a new path. I have lived and worked in Greece for 15 years now, practically all of my teaching career. People in the Balkans often ask me about the ELT world in Poland and I have started feeling the urge to connect with colleagues back home. So, maybe that chat I had with Milada marks a new beginning of my cooperation with colleagues in Poland. In the interview we talked about relatively anything: my decision to become a teacher, inspiring and motivating moments in my teaching life, passions within and outside ELT, professional development, but also about storytelling and incorporating social issues into language teaching, the two areas which are closest to my heart.